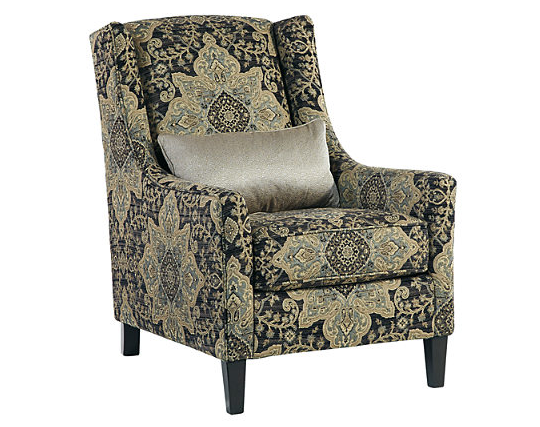 Classic wingback chair gets a modern makeover. 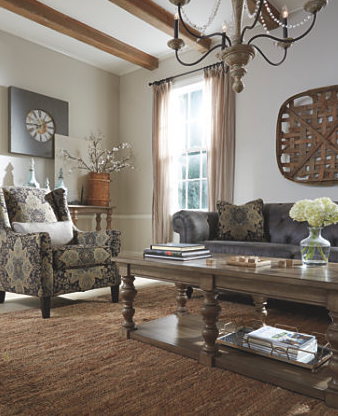 Hartigan’s sleekly sloped arms beautifully go with the flow. 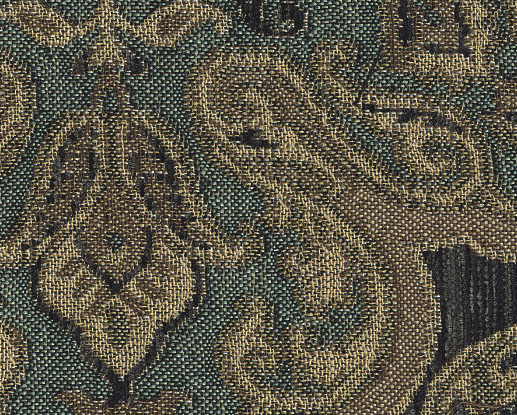 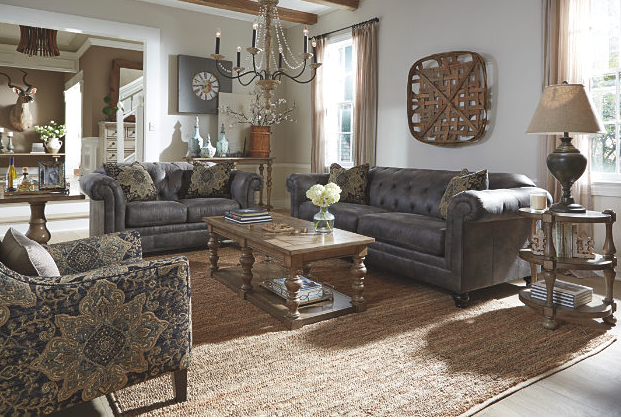 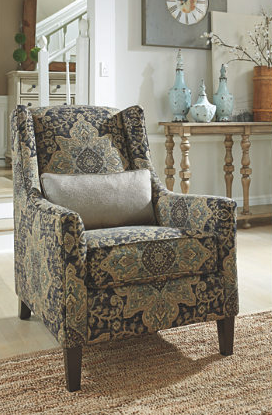 Brocade-style upholstery weaves a tapestry of cool tones and rich texture.